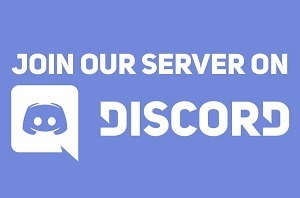 Don't be missing out on this fascinating game. The Missing is one of those games that forces you to immediately reflect on the entire experience once the credits roll. As the game comes to a close you’re presented with some truths that reshape your understanding of everything you’ve seen. To properly discuss The Missing, delving into the details of the ending is necessary. It reframes the entire adventure and it’s why this game is worth playing. A game about busy work. 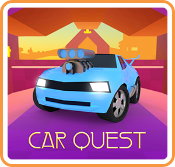 Car Quest is one of those weird experiences that isn’t particularly fun or engaging, but can tap into your OCD tendencies and keep you playing even when you’d rather not. Its design is rather mundane - you drive around a world collecting an artifact at a time, which opens up a new area of the map where you’ll collect a new artifact, which will in turn open a new area of that map where you’ll collect… well, you get the point. This cycle is only broken on occasion where you’ll gain access to a portal that requires a certain number of batteries to get into. In the portal you’ll do more of what you do in the main world, just on a smaller scale, until you earn an artifact to use back in the main world, where the cycle continues. Competent kart racing with a light dash of Nickelodeon paint. 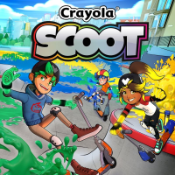 Five minutes with Nickelodeon Kart Racers and it’s very clear that Mario Kart 8 acted as not only an inspiration to the game, but in many cases as a blueprint for its design. As it turns out, that’s not a bad thing at all and helps make this a very competent racing game with some nice features and even a few things that help set it apart. But like any facsimile, it’s not nearly as crisp, pristine, or flawless as the original. If it wasn't for its heart and soul, you might just be annoyed to death. 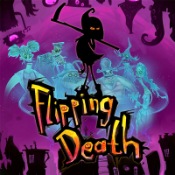 I’ve had some trouble sticking with Flipping Death. In between playing other games for review I slowly chipped away at it, making small progress over a pretty extended period of time. On the surface, I really love what it’s going for. This platforming-adventure has a great sense of humor, memorable characters, and a really neat and unique art style that absolutely leaves an impression. While all of the accoutrement is fantastic, solving puzzles and accomplishing tasks feels pretty consistently obtuse and rarely satisfying when you finally figure it all out. For once, bards are cool! 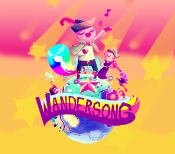 At first pass, you may mistake Wandersong for a game about a bard who’s trying to save the world. I wouldn’t blame you, because while that is what it seems on the surface, more importantly Wandersong is a game about emotions and relationships. It’s about conquering your fears and adversity, doing what’s right even when everyone else is telling you it’s wrong. It’s about leaning on your friends when you can’t do something by yourself, and yes, it’s about singing your heart out even when nobody wants to hear you. Meow meow, meow, meow meow meow meow, meow meow. 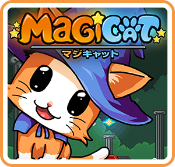 MagiCat is a fascinating example of a game. While it’s not particularly great, it takes a simple concept and tries everything and anything possible with the idea to see what sticks. Oftentimes it’s frustrating and cheap, other times brilliant and fun, it all depends on what level you’re in and what gimmick is on display. Velocity 2X, by all measures, is a well made game. 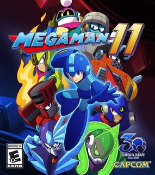 It has a pretty extensive amount of content including 50 core levels with a healthy number of objectives to achieve in each, a set of unlockable puzzle-based bonus levels, and the Switch version even includes the DLC out-of-the-box. But even after completing the whole game, I never really felt satisfied with it. While there’s a lot of content, each level feels similar to the last and this lack of diversity eventually wore me down. By the time the credits rolled, I was relieved to be done with it.